News and Press about Honeyfund, the free honeymoon registry, the #1 cash wedding gift registry. June 1, 2018 (Clearwater, Fl. )—Honeyfund's newest gift card partner, Skyhour, allows you to use to book travel with 350+ airlines to anywhere in the world, for just $60/flight hour, all day every day! Learn more about Skyhour and how you can earn up to 360 Skyhours just by referring wedding guests to your honeyfund. We call it Love Around the World. February 11, 2018 (Clearwater, Fl. )—Honeyfund and Target have partnered to take your wedding registry to the next level with honeymoon and experience giving! Read more about how you can register for honeyfund items on your Target Wedding Registry. January 29, 2018 (Clearwater, Fl. )—Honeyfund, the #1 honeymoon and wedding registry app, has recently relocated their headquarters from Sonoma County, California to Clearwater, Florida. “Being so close to Silicon Valley made hiring top-notch engineers a challenge. Tampa Bay’s tech boom — both in terms of talented employees and a vibrant entrepreneurial community — was very attractive. We realized we could hack our growth by moving the company here,” said CEO and co-founder Sara Margulis. Honeyfund was launched in 2006 after Sara Margulis and her husband, Josh Margulis, CTO, discovered the need for a crowdfunding website that catered to couples wanting an experience over household items. Their crowdfunding wedding registry raised $5,000 for their exotic honeymoon to Fiji and inspired what later became Honeyfund. In 2014, The Margulises were invited to pitch Honeyfund on ABC’s Shark Tank and won a deal with Kevin O’Leary (“Mr. Wonderful”). They have used the investment to expand their team and services, including launching the Honeyfund app and the Honeyfund gift card. In 2015, the company partnered with the nation’s top retail registries to offer one-stop giving. This year, the founders will realize a 12-year vision by offering zero-fee giving — a first in the crowdfunding industry. Today, nearly 800,000 couples have used Honeyfund, receiving more than half a billion dollars in gift contributions. Apart from being a honeymoon registry, couples have the flexibility to have family and friends contribute to other savings goals such as home down payments, charity and more. Beyond the wedding, sister-site Plumfund offers crowd-gifting for events such as baby showers, anniversaries, retirement and more. Recently, Plumfund users have raised money for everything from maternity leave to divorce, without the typical 5% crowdfunding fee. November 28, 2017—The Week discusses how Honeyfund kicked-off the honeymoon registry trend and has continued to stay at the head of the online crowd-giving registry pack. Read the full story here. September 21, 2017—With the millennial bride and groom comes a new way of gift-giving for the modern couple. Vogue dives deep into how and why crowdfunding your honeymoon is now the norm. Read the full story here. San Francisco — (December 1, 2016) — Honeyfund, the #1 honeymoon wedding registry site, today unveiled the first-ever universal travel and experience gift card. Just in time for the holidays, Honeyfund Gift Card recipients can redeem the card for unlimited travel experiences from top partners including Hotels.com, Royal Caribbean International, Groupon, QVC, Uber, and many more. After a successful Shark Tank appearance in 2014 where the company partnered with ‘Mr. Wonderful,’ Kevin O’Leary, Honeyfund has continued to grow in popularity – it’s now the #1 wedding registry app and most-used universal wedding registry site on the market. The site has doubled in giving volume since Shark Tank, with nearly $425 million in gifts since the company was founded back in 2006. New research from Airbnb shows that millennials would rather spend their money travelling over buying a home or paying off debt. Uber’s gift card launched recently to target wandering millennials. Indeed, Honeyfund has grown largely due to this trend, where wedding couples and guests alike continue to value experiences more than things. The Honeyfund Gift Card was conceived to allow hundreds of millions of wedding guests to give a honeymoon gift even if the couple isn’t registered on Honeyfund. It turns out to be a great gift for any occasion. Mr. O’Leary agrees. "Honeyfund has pioneered experience giving for weddings, offering people exactly what they want: a flexible, out-of-the box gift. 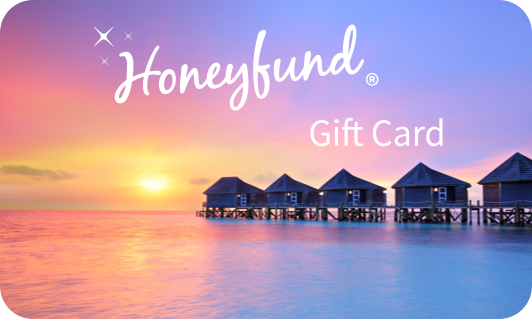 The Honeyfund Gift Cards leverages more than 10 years experience in honeymoons to offer the perfect gift for the millennial generation – travel and experiences. Honeyfund has been a great investment with tremendous growth in the past two years. The gift card is a natural extension of that growth." Convenience: With the Honeyfund Gift Card, give a great travel experience instantly, with confidence the receiver will love it! Flexibility: The Honeyfund Gift Card can be redeemed through a wide array of air, cruise, hotel, restaurant and retail partners, offering unlimited experiences around the world! 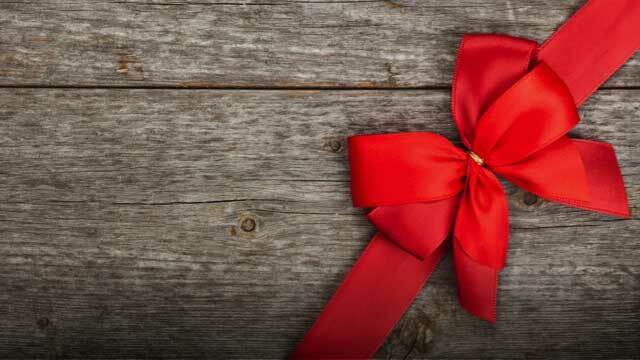 Fun & Meaningful: Givers love a unique and meaningful gift. The Honeyfund Gift Card offers a customized experience the recipient will never forget. For more information about Honeyfund and the new Gift Card, please visit honeyfund.com/giftcard. Founded in 2006, Honeyfund’s founders Sara and Josh Margulis discovered their own wedding guests enthusiastically preferred giving experiences and memories over housewares. As they prepared for their own wedding, they created a simple page for family and friends to contribute to their dream honeymoon in Fiji. In 2014, Sara and Josh brought their idea to Shark Tank, and received investment backing from renowned investor, Kevin O’Leary, who continues to be an active partner to this day. Today, Honeyfund is the #1 wedding registry app, and a crowdfunding pioneer. With 100% free options, Honeyfund and sister-site Plumfund now power all kinds of experiences and savings goals, for all of life's occasions. November 18, 2016—Discussing women and business with Honeyfund/Plumfund co-founder and CEO Sara Margulis. Watch Sara give advice to women in the tech industry, tips on using Honeyfund and Plumfund and the scoop on a new Honeyfund product in the works! See the full interview here. October 7, 2016—A blog post from a real couple making the decision between using a traditional registry or a honeymoon registry. Why not have both? 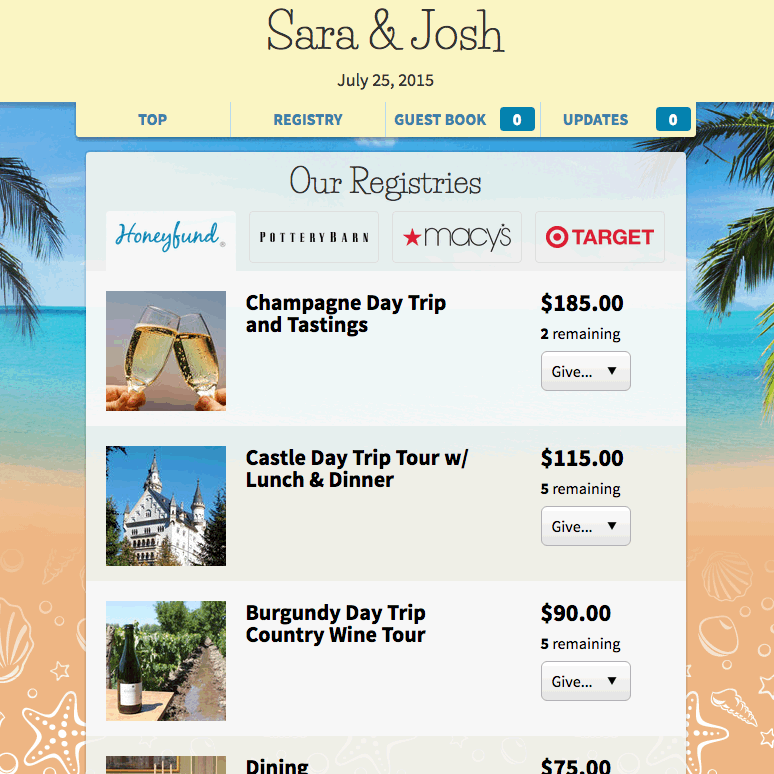 Honeyfund is featured on Weddingbee as the couple's honeymoon registry of choice! Ultimately, the couple decided to do what worked best for them and gave their guests the option to contribute towards a trip of a lifetime or in store items. The perfect mix of modern and traditional gifting. June 26, 2016—Cosmopolitan and Sara Margulis, CEO of Honeyfund, give us a history of honeymoons, where the tradition came from and how with time it has become increasingly difficult for the modern couple to achieve a honeymoon. Luckily, Honeyfund is available to help couples get their dream vacation. June 10, 2016—Racked weighs in on the etiquette of wedding registries. They talk traditional versus modern options, what couples really want and what guests are comfortable giving. Honeyfund is mentioned as a great way to give guests gifting options as well as a way for couples to avoid the process of returning those unwanted tangible items. Read the full story here. June 9, 2016—Vogue rounds up the nation's top registry options for modern wedding couples, including Honeyfund honeymoon registry. June 8, 2016—Advice and tips for planning the perfect honeymoon. brides.com walks us through 9 apps and services for planning, booking, and finding limitless experiences for your honeymoon. Step one being Honeyfund. June 3, 2016—SFGate runs through the most significant milestones in wedding history over 100 years. Honeyfund captures the mood of 2006. Read the full story here. May, 2016—Find out what it's really like to survive the 'Shark Tank' by watching Honeyfund and Plumfund on ABC's 'Beyond The Tank.' A closer look at Honeyfund/Plumfund and the future of the company. Investor Kevin O'Leary gets real with founders Sara and Josh Margulis about making some risky business model changes. May 20, 2016—Arianna Huffington joins Honeyfund/Plumfund CEO Sara Margulis along with investor Kevin O'Leary for "Beyond The Tank". The team meets to discuss Honeyfund updates and an exciting partnership between Plumfund and The Huffington Post. March 3, 2016—Forget blenders! CBS reports on the now socially acceptable practice of asking your guests for cash instead of wedding gifts you may never use. Couples are turning to Honeyfund.com to crowd-fund their dream honeymoon trip. December 28, 2015—The New York Times navigates the struggle of giving a wedding gift. What to give? How much to give? What does the couple actually want? Honeyfund is mentioned as a modern way for wedding guests to give the couple what they really want — cash for things like a honeymoon. Read the full story. November 29, 2015—Honeyfund is featured as the #1 wedding crowd-gifting platform on about.com! Honeyfund gives modern couples a place to register for anything from a honeymoon, adventurous experiences, to cash for a home. Couples can even add traditional items or registries from top retail stores with the new universal registry tool. Read the full article on About.com. September 11, 2015—Heavy.com recently interviewed Honeyfund CEO Sara Margulis about the growth of the company since Shark Tank, including news about sister-crowdfunding site Plumfund as well what it's like to work with Kevin O'Leary. O'Leary nominated Honeyfund for 'Shark Tank Week' and called the deal his favorite of Season 6. The episode will re-air Sept 13 at 8/7c on ABC. September 10, 2015 —SEBASTOPOL, CA—Honeyfund, the #1 honeymoon registry, has created a first-of-its-kind, one-stop wedding registry, featuring partnerships with national retailers including Pottery Barn, Macy's and Target. The new feature displays retail registries alongside the honeymoon wish list, allowing wedding gift givers to choose from experience gifts or traditional housewares. "Wedding guests love choices when shopping for a gift. The more choices the better," explains Sara Margulis, Honeyfund CEO and co-founder. "Some will relish the chance to give a once-in-a-lifetime experience like wine tasting in France. Others will carefully choose an item for the home that will be cherished for years. Honeyfund is proud to be the first registry that lets givers choose." 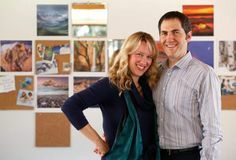 Sara and her husband, Josh Margulis, developed Honeyfund in 2006 for couples to receive contributions toward a honeymoon, without paying high fees. After growing to the #7 most-used wedding registry in the US, the Margulises appeared on ABC's Shark Tank in 2014 and won a deal with shark Kevin O'Leary. Now they're using the investment to expand Honeyfund to all types of gifts, including charity and home-down-payment gifts, as well as retail. The retail program not only allows users to choose a gift that's meaningful to them, it also keeps the nation's leading retail brands top-of-mind. Brides and grooms are invited to start a new retail gift registry directly from their Honeyfund account. "We've always encouraged couples to have store registries in addition to their Honeyfund. Now we can surface and suggest specific wedding registries like Macy's and Pottery Barn right in the Honeyfund account," says Sara Margulis. The program was announced via email to more than 50,000 current Honeyfund couples on August 2. Alongside Macy's, Pottery Barn and Target the program includes West Elm, Bloomingdales, Sur La Table, Best Buy, Kohl's, Wal-Mart and Michael C. Fina, among others. For more announcements about Honeyfund and to learn more about the company, please visit our website. Founded in 2006, Honeyfund is the #1 honeymoon registry, and a crowdfunding pioneer. With 100% free options, Honeyfund and sister-site Plumfund now power all kinds of experiences and savings goals, for all of life's occasions. Honeyfund couples have raised more than $300 million to-date! July 26, 2015—"When it comes to registering for gifts, a generational sea change has developed, with more and more millennial couples asking their guests to consider holding the gravy ladles and shelving the dishes in favor of gifts of a very different sort." Read the full story. February 1, 2015—Sebastopol, CA—In conjunction with it's Shark Tank rerun, Honeyfund announces the launch of the Spanish service, Fondo de Miel. The first free Spanish-language honeymoon registry site, made possible by the Shark Tank investment from Kevin O'Leary, is demonstrated here by reporter Vanessa Hand Orellana of CNET Español. November 5, 2014—Sebastopol, CA—Just in time for holiday gifting and wedding engagement season, Honeyfund, the popular honeymoon registry, recently closed a deal with Kevin O'Leary of ABC's hit reality show 'Shark Tank,' to expand its gift-funding business. October 27, 2014—Graham Winfrey of Inc.com recaps Honeyfund's apperance on ABC's hit reality show 'Shark Tank," saying "Sara and Josh Margulis had the sharks eating out of their hands..." Read the full story here. 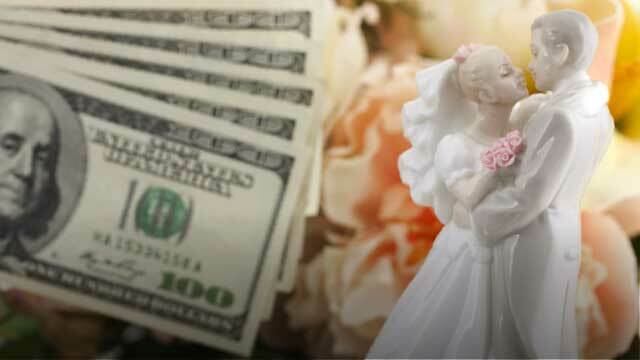 Anna Post, great-great-granddaughter of Emily Post, breaks down the rules of the sometimes-taboo subject of giving money as a wedding gift. Read the story here. July 1, 2014—Honeyfund's website appeared on Good Morning America today in a spot on crowdfunding your wedding. June 2, 2014—Write Carole Dixon interviews Honeyfund CEO Sara Margulis for her Pasadena Weekly article on honeymoon funds. Read the full story here. May 25, 2013—Honeyfund.com, Inc., one of TIME.com's 50 Best Websites of 2012, has launched the first free crowdfunding site at Plumfund.com. 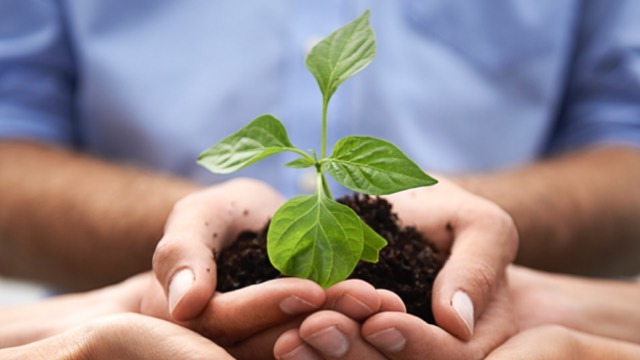 Plumfund offers free crowdfunding, cash gifting, and fundraising—the first site of its kind. Users can raise money for anything, including projects, startups, schools, charities, community groups and individual gift ocassions. The site processes "pledges" 100% free of charge where contributors pay offline, directly to the campaign organizer. Online payments are available via WePay or PayPal for just 3.9% + $0.30. Anyone can setup a free campaign. Visit Plumfund.com to learn more. May 17, 2013—Good Morning Arizona interviews Arizona Weddings Magazine editor Kristina Celik about unique wedding registries including Honeyfund! April 1, 2013 — Pittsburgh Tribune-Review writer Rachel Weaver recently interviewed Honeyfund.com's CEO Sara Margulis for her story on alternative wedding registries. The story also profiles Honeyfund couple Clara Cheng and Russell Phillips who used Honeyfund for their 10-day honeymoon in Paris in 2012. See the full story here. March 11, 2013 — Honeyfund couple Christopher and Stephanie Tower were featured on MSN's 'glo' website in a story about modern wedding registries. The couple took a three-week honeymoon in Thailand with their honeyfund contributions. See the full feature here. September 18, 2012 —Honeyfund.com enjoys the honor of being listed in "TIME's annual salute to sites and services that keep you entertained and informed, save you time and money — and maybe even change your life." See the feature here. August 6, 2012 — For some couples a fabulous honeymoon is out of reach after paying for an expensive wedding, but Honeyfund newlyweds get the vacation of their dreams. January 23, 2012 — Honeyfund.com, the web's leading honeymoon and cash gift registry, is excited to announce they have been selected to receive the prestigious WeddingWire Bride's Choice Awards™ 2012 for Unique Services. The annual awards program recognizes the top wedding vendors from the WeddingWire Network who demonstrate excellence in quality, service, responsiveness and professionalism within the wedding industry. While many industry awards are selected by the organization, Honeyfund.com was selected based on its stellar reviews from past newlywed clients. Honeyfund.com is recognized as part of the top five percent of wedding professionals in the WeddingWire local vendor community, comprised of over 200,000 wedding professionals throughout the United States and Canada. "WeddingWire is thrilled to honor the success of the top-rated wedding professionals within the WeddingWire Community," said Timothy Chi, CEO, WeddingWire. "It is with great pleasure that we congratulate Honeyfund.com for their continued professionalism and commitment to enriching the wedding planning experience for engaged couples." "We are honored to receive the award and would like to thank past clients for taking the time to review our business on WeddingWire," said Sara Margulis, CEO of Honeyfund.com, Inc. Thanks to their positive feedback, Honeyfund.com was able to receive the WeddingWire Bride's Choice Awards™ for 2012. November 12, 2011 — Associated Press writer Leanne Italie details the rise of social media and all things "online" at weddings, in her article published in the Seattle Times. The article covers online cash registries and quotes Honeyfund couple Nicole Endres and Dan Rodriguez. Read the full article. August 28, 2011 — New York Times writer Marianne Rohrlich quotes Honeyfund.com's CEO, Sara Margulis, in her Sunday Style article about the growing trend of cash gift registries. "'Using honeyfund.com enables guests to print out a gift certificate to send with the check. This makes giving money seem more graceful.'" The article goes on to quote Peggy Post, the etiquette expert, who said giving money now has a wider appeal. "In a recession money is always welcome," said Ms. Post. The full article is at newyorktimes.com. 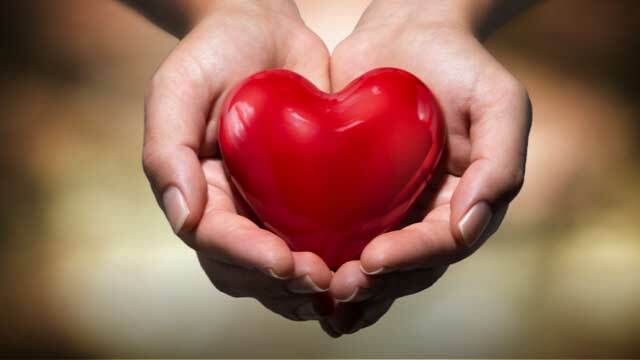 June 21, 2011 — Boston Globe writer Bella English explains how modern couples may not need household items, so instead they are asking for non-traditional gifts like honeymoon contributions. Honeyfund.com helps couples who may not otherwise take a honeymoon. See the full article. May 19, 2011 — Stacey Bradford details four unique gift registry ideas, including Honeyfund.com, in her CBS Money Watch article. See the full article. Honeyfund.com featured on Martha Stewart Weddings' "Darcy's Idea of the Day"
January 20, 2011 — Darcy Miller, editorial director of Martha Stewart Weddings, featured Honeyfund.com in her "Darcy's Idea of they Day" column at marthstewartweddings.com. "Sign up for the vacation of a lifetime at Honeyfund.com, which divvies up your honeymoon components into monetary increments," said Miller. See this idea and more at marthstewartweddings.com. September 21, 2010 — Sarah Jackson of The Daily Herald explains how Honeyfund makes life "pretty sweet" for couples, their families and friends. Read the full story at heraldnet.com. 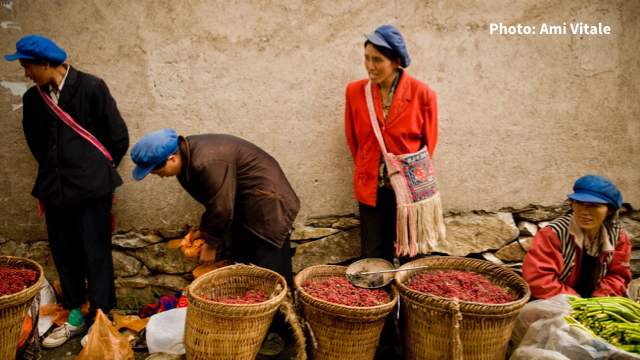 October 23, 2009 — In her Frommers article on honeymoon registries, Charis Atlas Heelan mentions Honeyfund.com as a free option for honeymooners looking to ease the financial burden of their once-in-a-lifetime trip. Read the entire article at frommers.com. August 4, 2009 — Honeyfund.com, Inc. announced today it has expanded its service to include most of Europe and New Zealand. Now residents of Austria, Belgium, Cyprus, Finland, France, Germany, Greece, Ireland, Italy, Luxembourg, Netherlands, Portugal, Spain and New Zealand can use the free honeymoon registry service. Couples from any supported country can now create registries listed in New Zealand Dollars and Euros, in addition to already supported currencies (US, Canadian and Australian Dollars and Great British Pound). Summer 2009 — Martha Stewart Weddings Summer 2009 issue details 50 cost-cutting tips in "The Well-Spent Wedding," listing Honeyfund.com in tip #47. "Instead of registering for stuff, ask guests to contribute to your honeymoon stash: At honeyfund.com, you can register for your trip, add vacation extras (from boat tours to spa treatments), then break the expenses down into gift-size increments." View the entire article at marthastewartweddings.com. 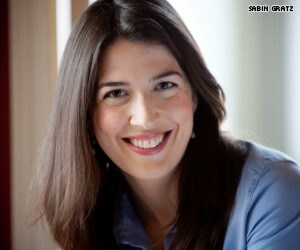 February 25, 2009 — In her article, "The high price of love,"writer Alli Marshall give readers tips for planning a wedding on a budget, suggesting the use of honeymoon registries like Honeyfund.com. Read the full story. December, 2008 —In the December 2008/January 2009 issue of Modern Bride, writer Elaine Glusac helps brides "in a honeymoon money crunch" by offering tips including Honeyfund.com. Honeyfund bride Heidi Weber is quoted in the article. 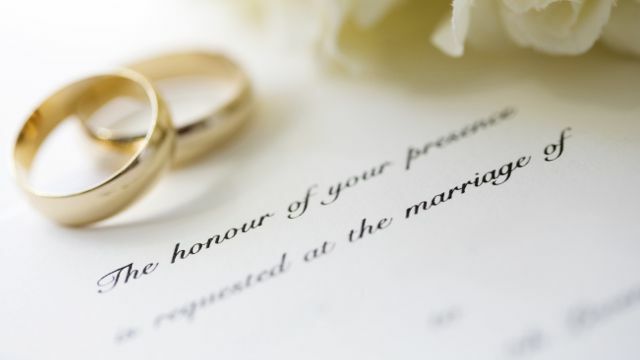 November 9, 2008 — Daily News writer Meredith Blake explores the growth of non-traditional registries in her article, 'With budgets tighter than ever, couples are requesting wedding gifts they actually need.' She writes, "An increasingly popular choice for frugal newlyweds is registering for a honeymoon through sites such as...HoneyFund.com." Read the full story. January 30, 2008 — The Courier-Journal reports on a shift in wedding tradition from household gifts to cash gifts. In her article, "I'll Tell You What I Want," journalist Joanna Richard writes, "One popular service in recent years has been Honeyfund.com," which she says "...makes the gift of cash more personal by letting the guest choose what to sponsor, and it can even please those who like to hand the happy couple a present in person." Read the full story. SAN FRANCISCO, July 26, 2006 — Honeyfund.com, the Internet's first free honeymoon registry service, announced today it is going international. Now couples in Australia, Canada and the United Kingdom can use Honeyfund to receive parts of their honeymoon, such as airfare, hotel rooms, meals and excursions, as a wedding gift. The expansion is evidence of a growing, world-wide trend in wedding gift registries. 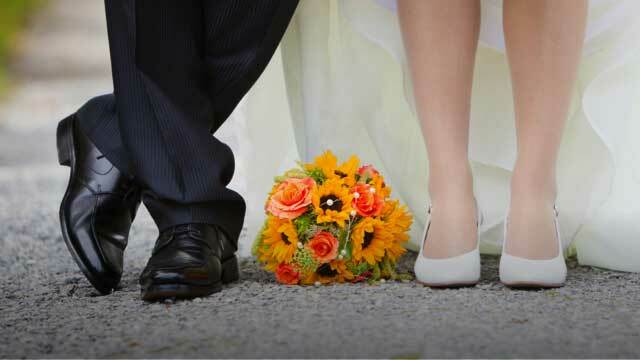 Many couples already have the household items that make up a typical wedding gift. What they often don't have is the extra cash to pay for a proper honeymoon. Unlike existing online honeymoon registries which charge up to nine percent in fees, Honeyfund is free to both couples and gift givers. Visit Honeyfund for more information and to set up your Honeyfund registry today. SAN FRANCISCO, March 21, 2006—Today Honeyfund.com announced the launch of the Internet's first free honeymoon registry service, helping more couples make their dream honeymoon a reality. The new registry offers guests the opportunity to pay for parts of the couples' honeymoon, such as airfare, hotel rooms, meals and excursions, as a wedding gift. 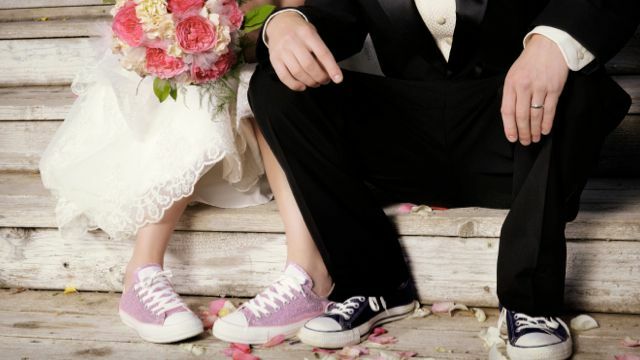 More than 2.5 million couples will marry this year, with an average age of 27-29 years. Many of these couples already have homes full of dishes, linens and kitchen gadgets. What they really want, and don't have, is money to pay for a luxury honeymoon. Unlike existing online honeymoon registries which charge up to nine percent in fees, Honeyfund is free to both couples and gift givers. The registry is quick for the couple to set up and an easy way for guests to give a gift the couple will truly enjoy. More than 120 couples have applied to take part in Honeyfund.com's beta. Visit Honeyfund for more information and to set up your Honeyfund registry today.